Happy Cinco de Mayo!!!! 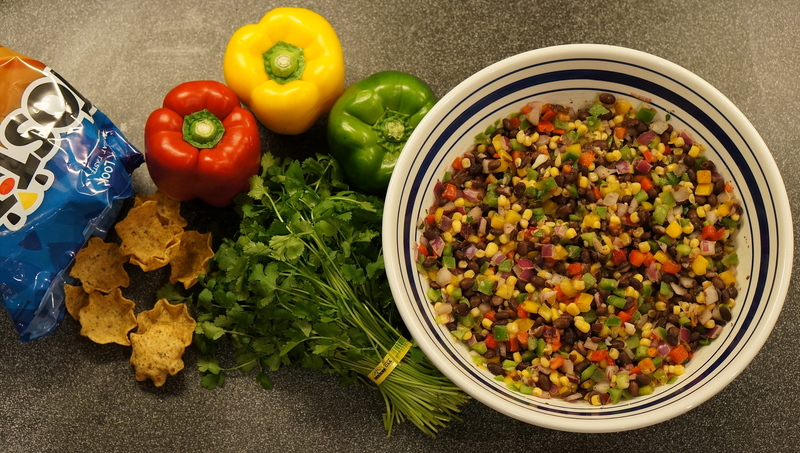 If you are looking for a delicious and healthy black bean dip you came to the right place! 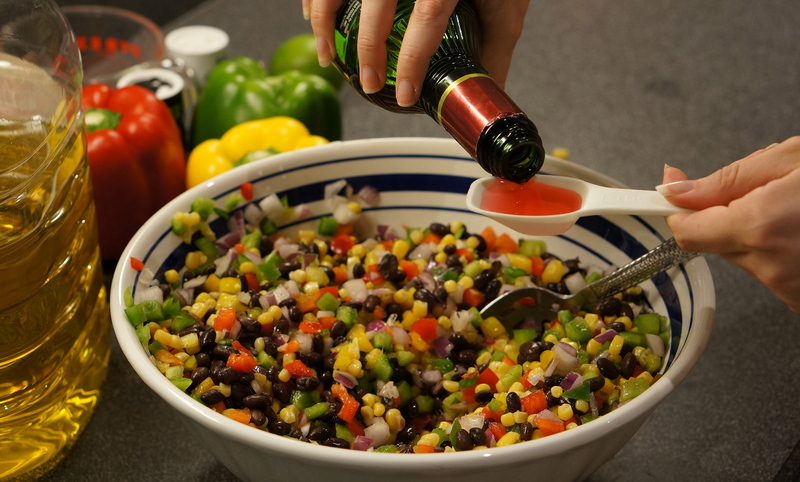 Anyway, we love good Cinco de Mayo festivities as much as the next girl, but in the interest of the upcoming summer semester and the beach days it will bring, we thought we would search Pinterest for a healthy Cinco de Mayo treat. After searching in vain, the answer came from somewhere we didn’t expect- Kristen’s mom! 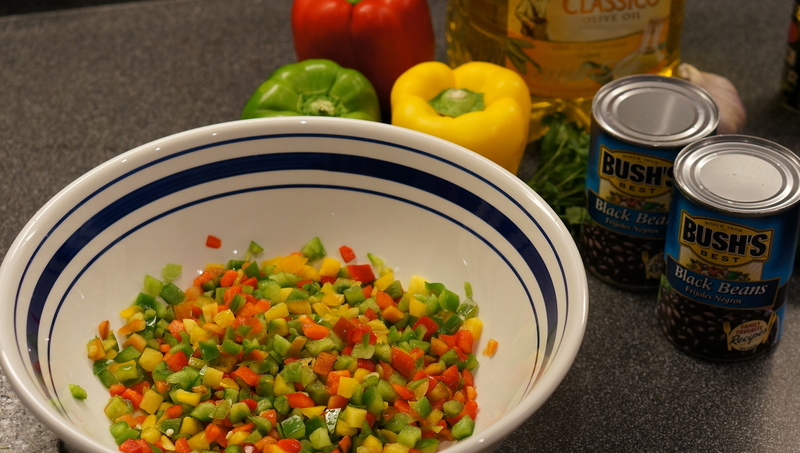 1) Chop your red, green and yellow peppers. 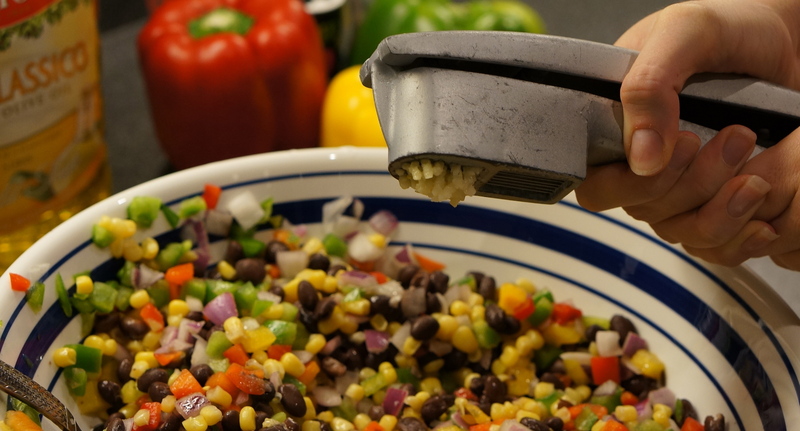 You can do this by using a knife, a nifty vegetable chopper, or you can see if your grocery store carries pre-chopped peppers (Publix does). 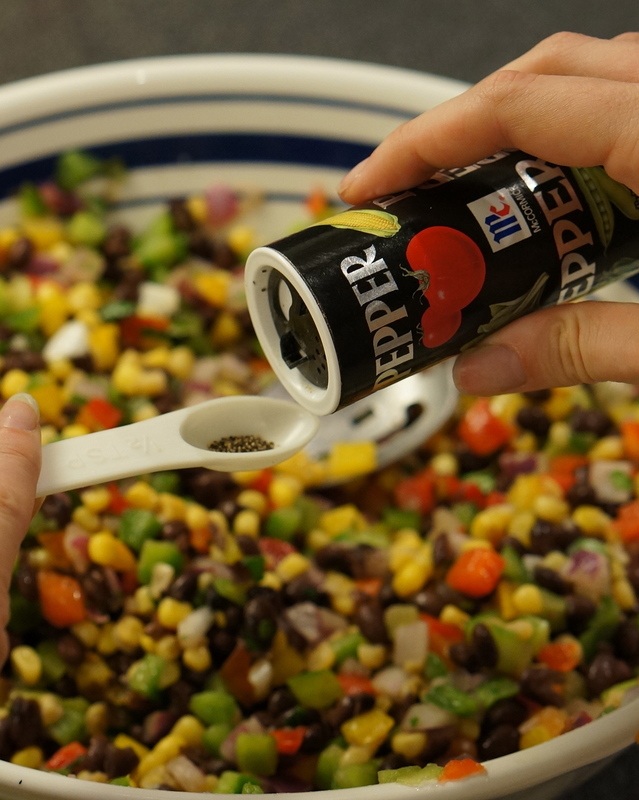 2) Drain your 2 cans of black beans and add them to the chopped peppers. 3) Add about a cup of chopped onion (Publix also sells this pre-chopped). 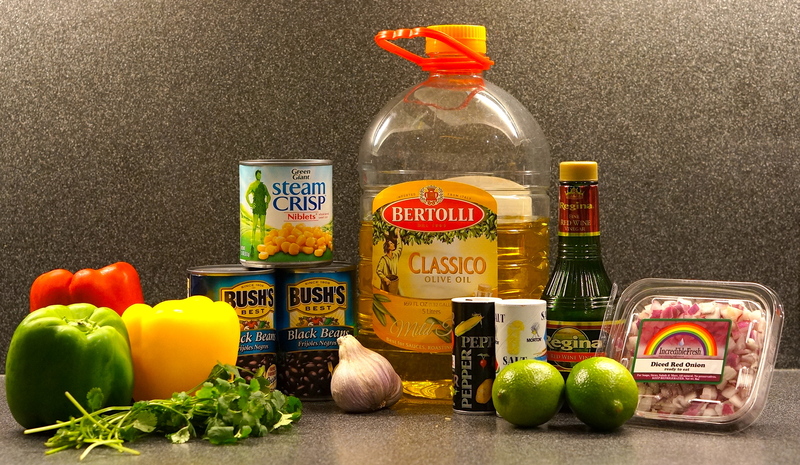 4) Mix in your 1/4 cup of olive oil. 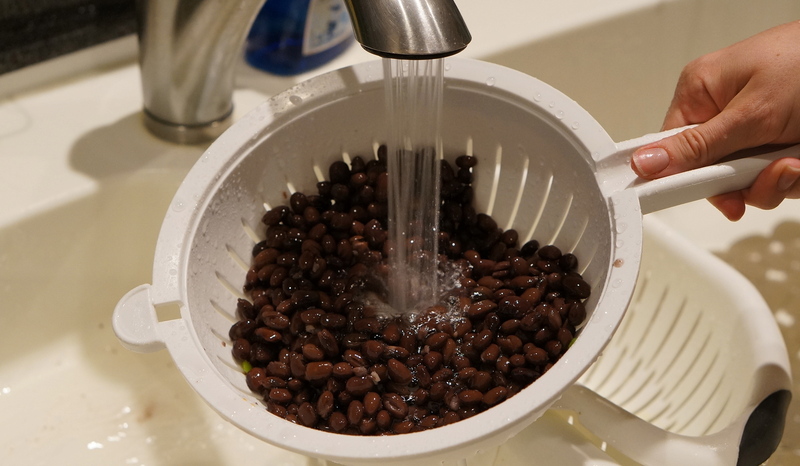 5) Then add 4 tbsp of red wine vinegar. 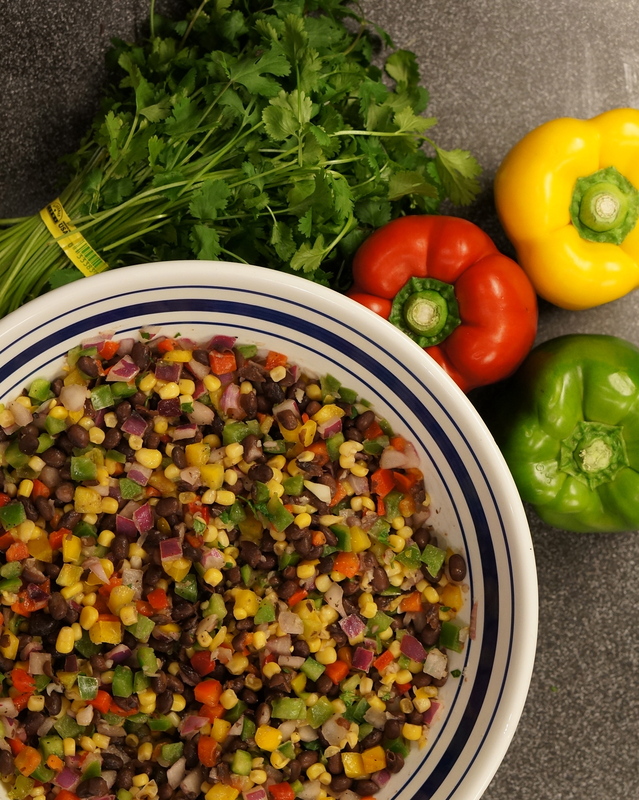 7) Finely chop the cilantro and add about 1 tsp to the mix (if you like cilantro you may want to add a little more). 8) Roll your limes on a table (to get the juices flowing) before cutting. Then cut both of your limes and squeeze the juice into your mixture. The limes really bring out the flavor so don’t forget them! 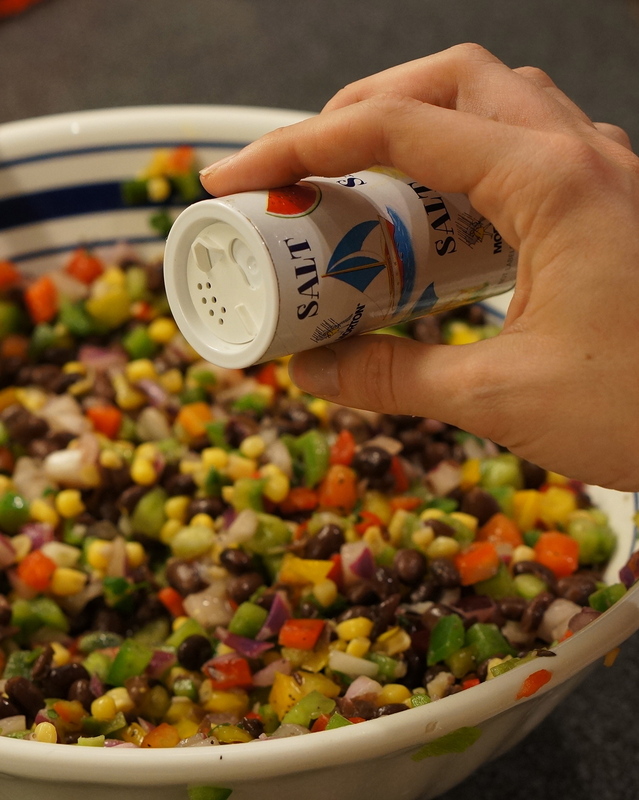 9) Add one tsp of pepper and a couple pinches of salt. Ta-da! You’re all done!! It is ready to eat as soon as you mix all the ingredients together, but it gets better as it marinates (beware: everyone will fight over the leftovers). 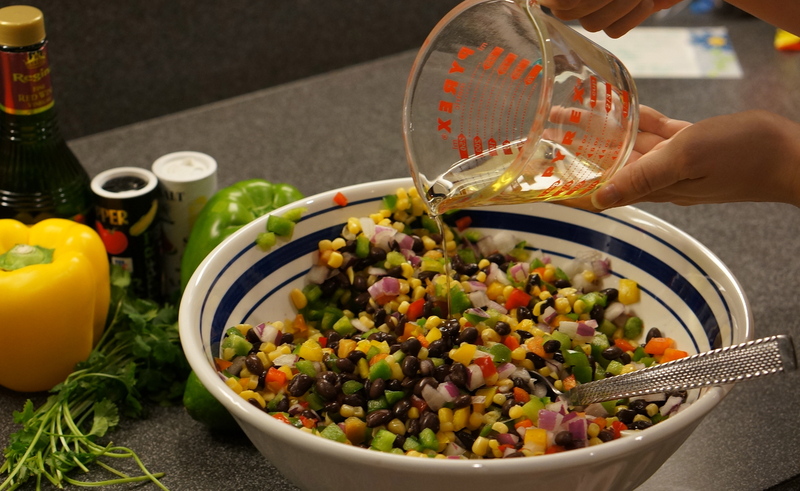 We LOVE this black bean dip recipe because it tastes delicious and it’s really, really hard to mess up. Plus it’s got nearly every color of the rainbow, which means it’s got a bunch of different vitamins and anti oxidants and other things your body loves. 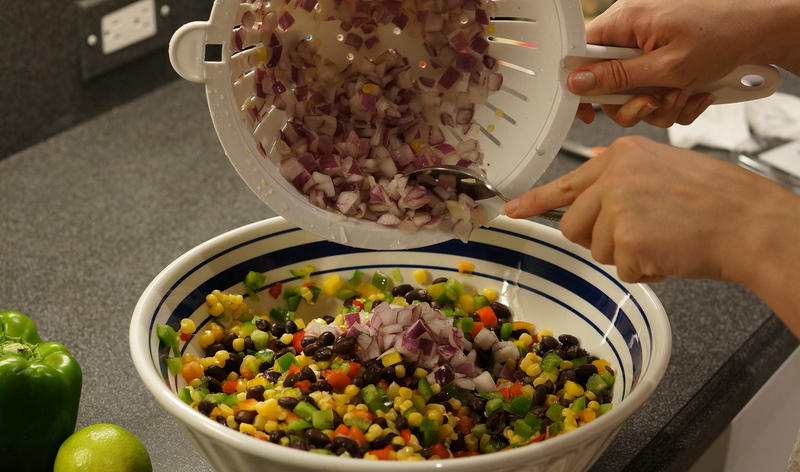 It’s great for chips, on salads, or just on its own! 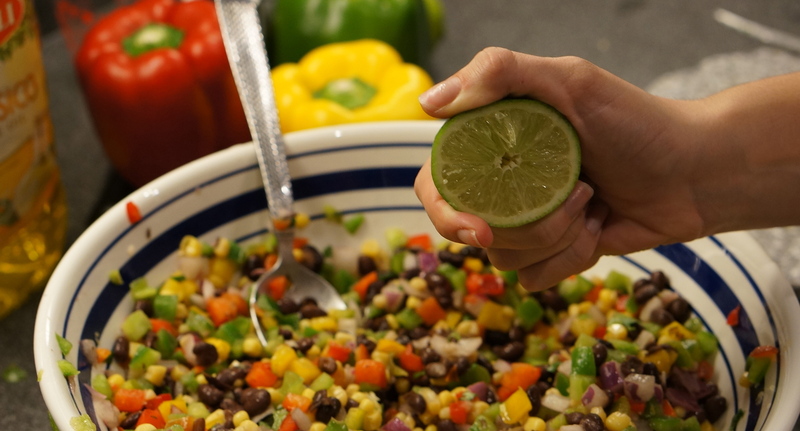 This dip is especially great to bring to parties- its mildly addictive and its a nice alternative to chips and queso. Did we mention it’s also awesome on tacos? We’ve yet to put it on something we didn’t like; be sure to let us know what you pair it with in the comments below! 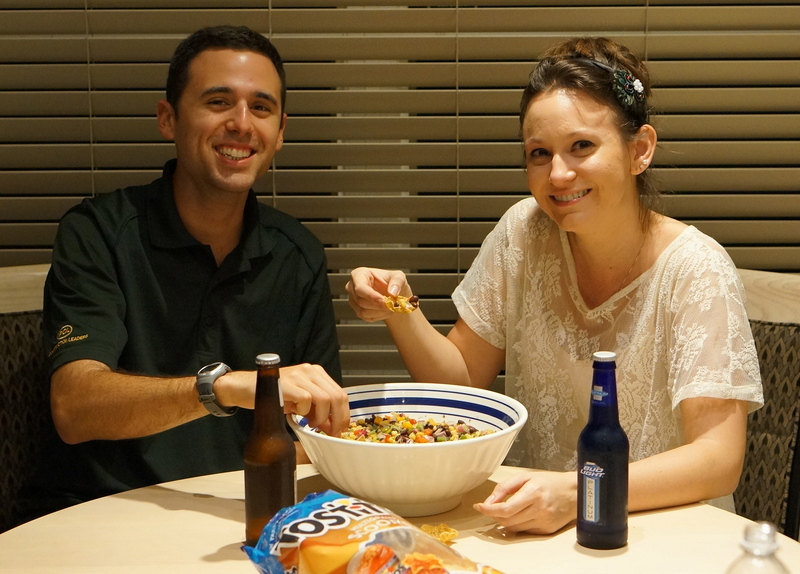 Our friends Thomas and Allison approve! Be sure to check out some of our other cooking shenanigans below! 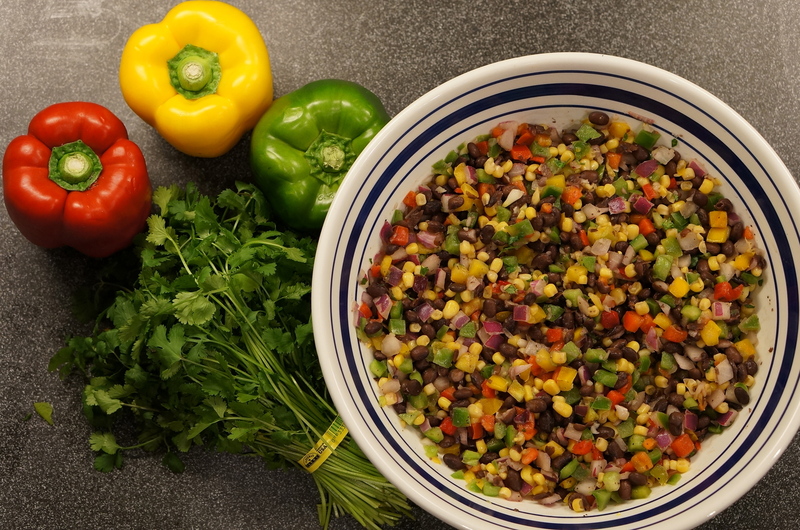 We all love this BLACK BEAN SALSA it is a great dip for the 4th of July grilling!!! So colorful fun and healthy! Happy 4th Shenanigans!!!!! Made it today.. It was really good! Wanted to let you know you left the yellow bell pepper off of the list of ingredients.